I’m in the throws of customer quilts before the holidays. Which plays into the age old question, “are you ready?” I’m always “ready”for Christmas because I enjoy and cherish the time I spend with family and friends. But, being “ready” doesn’t always mean having everything done! This year I am not a bit stressed about it. I am totally focused on the people in my life! 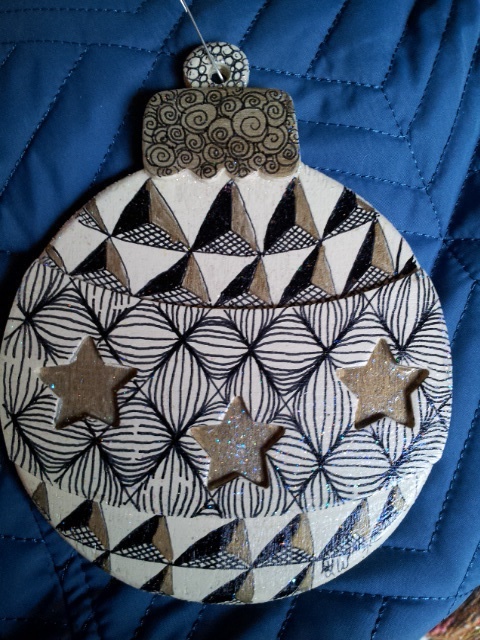 I took a break on Saturday and took a Zentangle class from a dear friend, Elisa Murphy a Certified Zentangle Teacher. Her business is called Elisa’s Now and Zen. The ornament I tangled is shown below. The class was held at Artworks Studio in Hopedale, MA. Check out the awesomeness of both these sights. I enjoy how Zentangle and quilting play so well together with designs and repetition of patterns! Take time to see what is around you and expanding your creative side (even if it is in another medium). The simple repetitive curves in the middle of the ornament have been used in quilting for ages. I used that curve, called a pumpkin seed in quilting, in the latest quilt I quilted. #1 – Take time to enjoy the process. 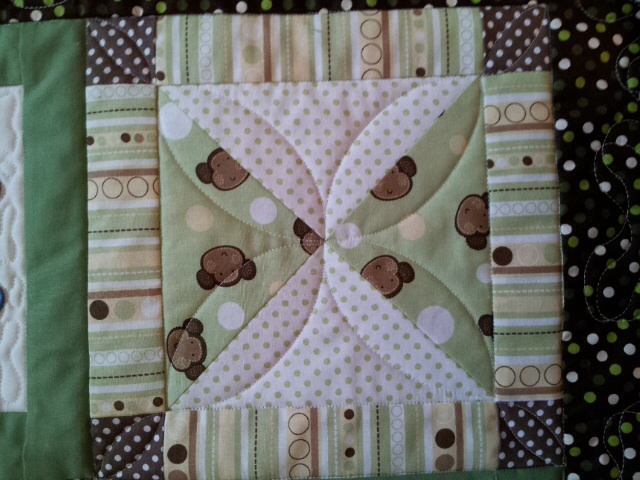 #2 – Use simple designs, such as a curve to enhance your quilting.